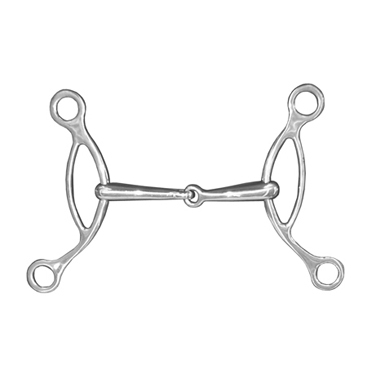 This bit works by leverage; pulling on the reins exerts pressure on the cheek-pieces, raising the bit in the mouth, thus sending strong messages to the horse. This action makes the bit popular for powerful horses when show jumping, hunting or riding cross-country. There are currently no questions for JHL Pro Steel Single Jointed American Gag - be the first to ask one!